He may be America's favorite master carpenter, but Norm readily admits that he's a "brown thumb," when it comes to gardening. 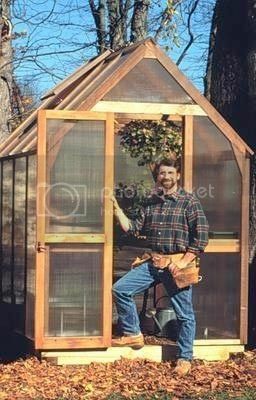 This greenhouse is the perfect project for the serious backyard gardener (or someone who knows one) who is "workshop bound" for the winter. Norm fabricates this design out of redwood and polycarbonate panels. Built to withstand even the toughest weather conditions, this greenhouse provides enough insulation and light to sustain plants during the long winter months.